Take your look, and mesmerize all those you come into contact with. The Affluence wig is pure comfort mixed with high styling class. A silhouette look that features open curled layers all over. 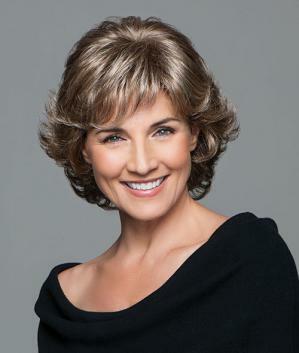 You’ll feel great wearing this luxury wig on your head at all times. The face framing, collar length cut works wonders to bring the attention directly to you. The soft kanekalon flexlite fibers were placed onto a hand tied monofilament cap. This cap provides you with light, cool comfort throughout your long days. High quality design is available for you today at a discounted price you won’t find lower anywhere else. When you need an off the face style that requires little time to perfect, the Affluence should be your go-to option. Available in a variety of of salon inspired colors, you’re sure to find the right one for you. Place the Affluence from Gabor Wigs in your cart today, and receive it in no time!